*WE ARE NOT ASSOCIATED WITH THE CITY OF AUSTIN* Please call 911 in case of emergency. Austin County Emergency Communications District is NOT an emergency responder. If you have an emergency please dial 911 immediately. Austin County Emergency Communications District is NOT a county government entity. We are not a part of the local government though we follow local governmental guidelines. 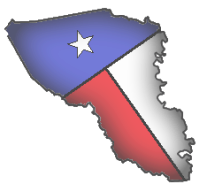 We are a special-purpose district, created under Section 772, subchapter D, of the Texas Health and Safety Code, under control by a local board of managers. Austin County Emergency Communications District is NOT affiliated with any of the online mapping services such as google maps, bing maps, mapquest, etc. Many of these mapping services publish streets and addresses that are incorrect for the Austin county area. The data provided through our interactive web map is the most up to date data and is the same data used by our emergency service agencies. Please visit ﻿﻿www.gps.gov﻿﻿ if you believe your address to be incorrect within one of these mapping services. Austin County Emergency Communications District is NOT responsible for property lines/boundaries. If you have questions about your property line/boundary, please contact the Austin County Appraisal District. Austin County Emergency Communications District does NOT provide any permits for building/construction. Please contact the Austin County Courthouse for information regarding permits.